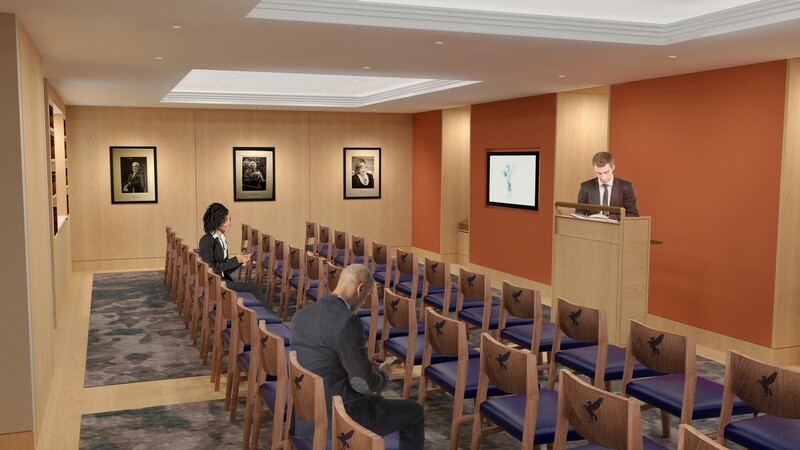 Project Pegasus is a major redevelopment of the post war 1950s Inner Temple Treasury, Library and Hall building. 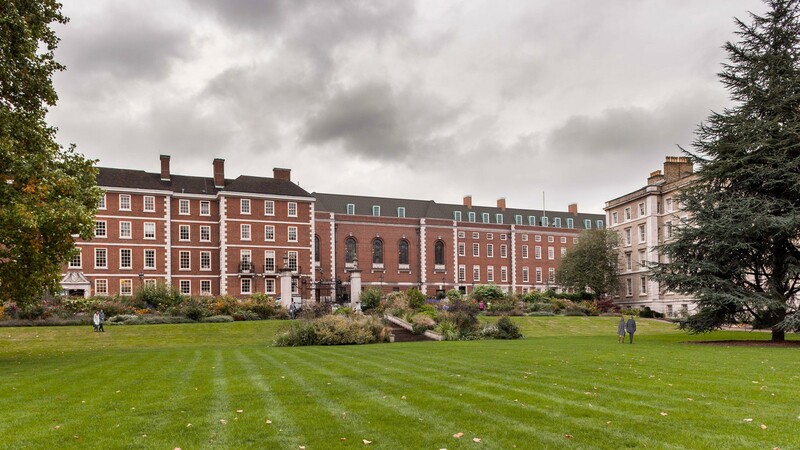 The ongoing project will create state-of-the-art training facilities for future barristers, members of the Bar and other legal professionals and demonstrates our ability to obtain planning consent for a significant intervention within an inner city Conservation Area next to the highest concentration of listed buildings in London. 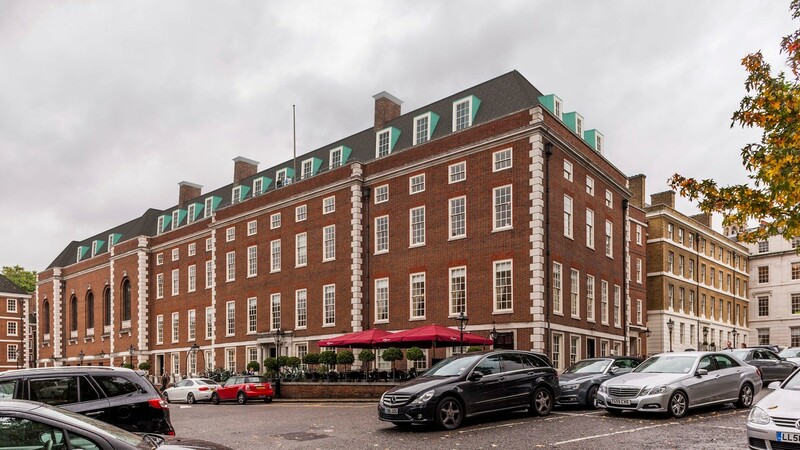 The new centre is located on the third floor of the existing Treasury, replacing part of the existing library, and within a clay tiled mansard extension above the Hall and Treasury Building. 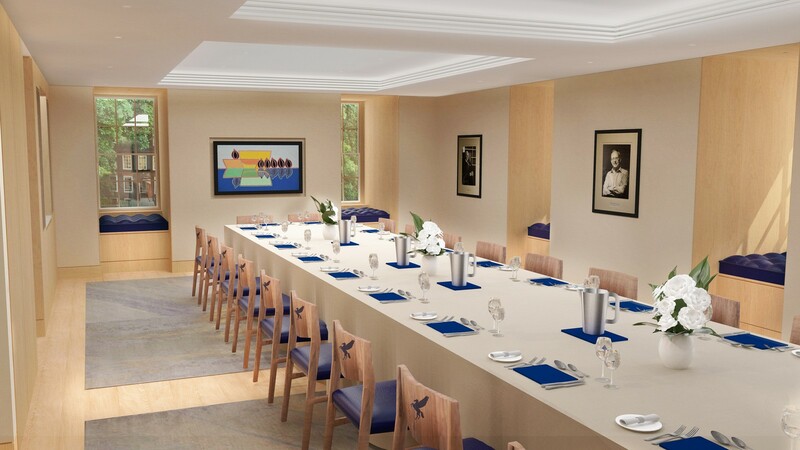 The training and conference centre will provide an auditorium for up to 120 people and meeting rooms supported by generous reception and break out spaces. 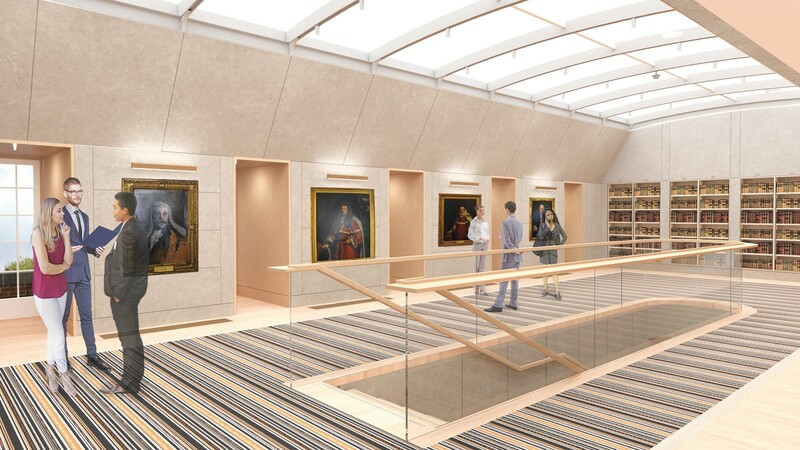 On the second floor the library layout will be largely retained albeit fully refurbished to suit the reduction from double height to single height space. 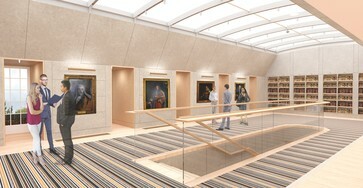 On other floors, refurbishment will improve WC provision, enhance offices and create new storage areas. 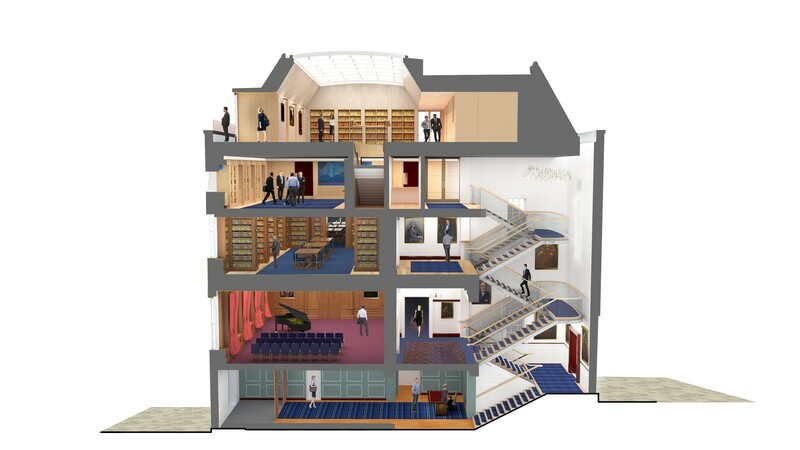 Access will be provided via an extended stair and lift which currently serve the library and two new lifts set within a masonry shaft discreetly located in the south east corner of Church Court. A new stair, enclosed in matching brickwork to the existing building, will face onto Church Court and will provide alternative means of escape from the third and fourth floors. 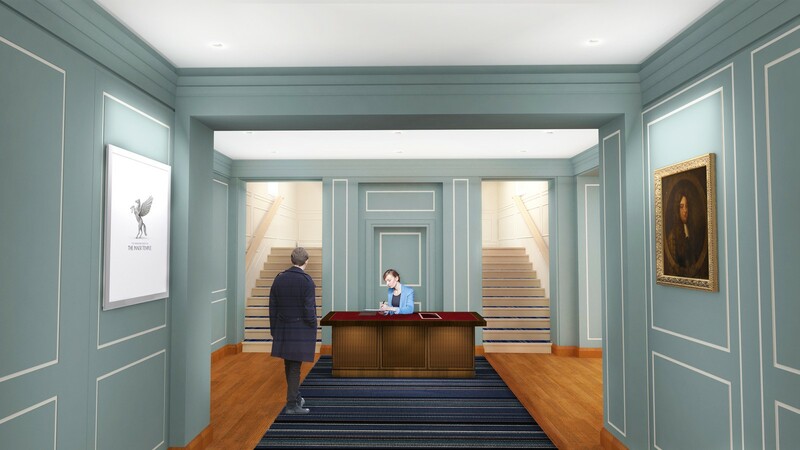 Plant to operate the new training centre will be concealed within the mansard in a well above the meeting rooms. 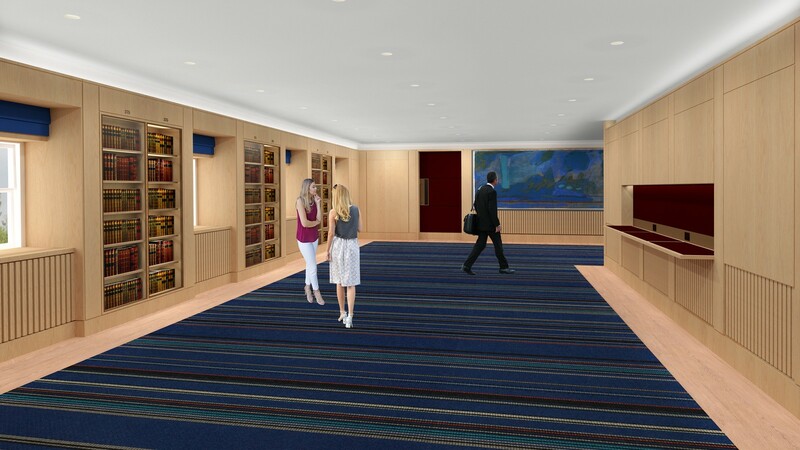 The facility will be fully air-conditioned. 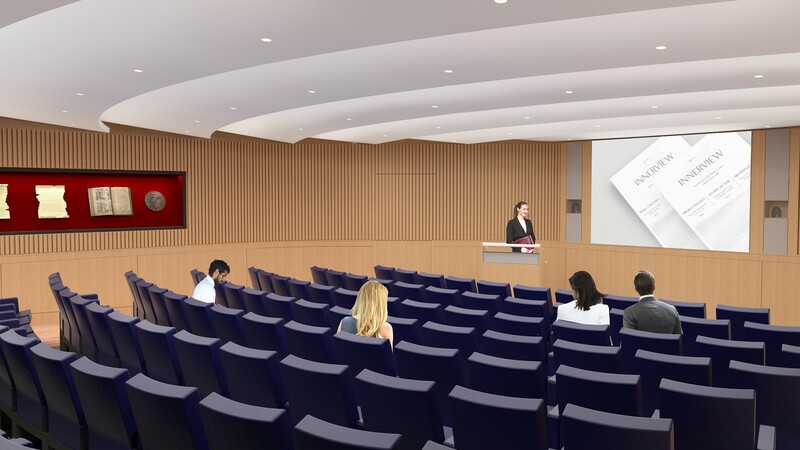 High quality audio visual installations will be matched by the best possible acoustic design to ensure excellent teaching facilities for students, pupils and practitioners and the highest quality space for other functions, both for members of the Inn and external clients. Planning permission was granted in February 2018 and work will start on site in 2019.